(Gisborne, Sept. 13) – VIEWERS of the Beijing Olympic Sculpture Exhibition can vote for their three favourite sculptures and have a chance to win a 20-minute scenic flight over the district and a priceless commemorative small sculpture. The flight is part of a $3000 Eastland Odyssey prize package that Gisborne’s 90.9 ZGFM is offering as the 110 sculptures from international artists display in the Rose Garden reserve. The prize package includes trips for four people on vintage steam train Wa165 and the Takitimu tug, 12 months free admission to the Olympic Pool, free admission to Morere Hot Springs, guided tours of Tairawhiti Museum and Toihoukura, dinner and mini-golf vouchers and a book featuring the Olympic sculptures. 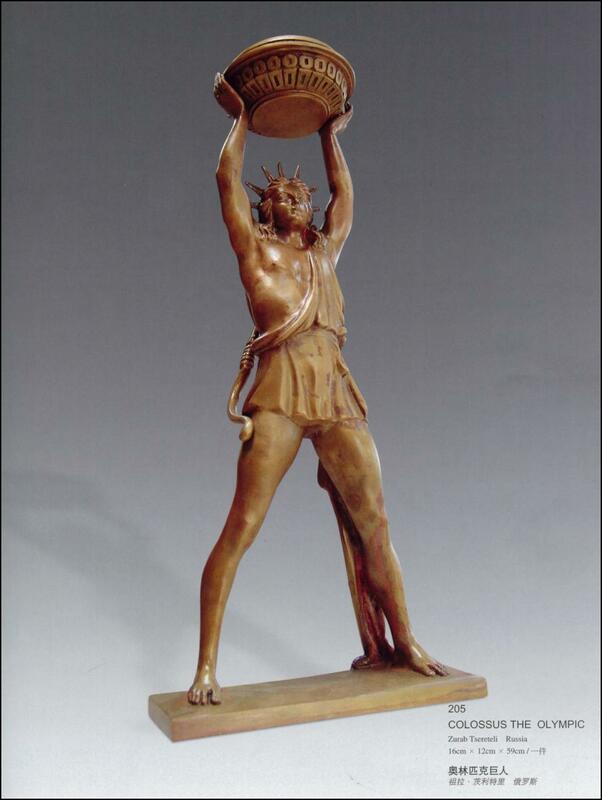 Radio Network manager Darryl Monteith says a priceless small sculpture has been donated as part of the prize. 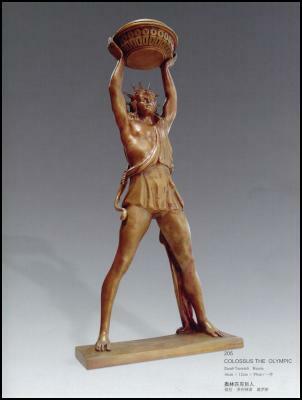 The competition uses a public vote system wherever the sculptures are exhibited. “We hope people will enter the spirit of the competition by interacting with the sculptures and even becoming Olympic art critics,” said Mr Monteith. The competition offers gold, silver and bronze prizes for the people whose selections match those of the judges’ panel, comprising exhibition curator Nick Tupara, Tairawhiti Museum curator Jolene Douglas and Mayor Meng Foon. Winning entries will be drawn live on the Breakfast programme on October 3. Millions of people have cast votes for their favourite sculptures as the exhibition has travelled the world. These votes, together with those of a committee of art review experts, will determine the best 29 of the 110 sculptures to be awarded gold, silver, and bronze medals. Outstanding sculptures will be displayed around the Beijing Olympic competition venues in 2008. (BEIJING, September 9) — The Beijing 2008 Olympic Landscape Sculpture Exhibition was held at Gisborne, New Zealand last Friday. The stay in New Zealand for the world circuit exhibition is the first leg of exhibition on the southern hemisphere. As a part of the 2008 Olympic Landscape Sculpture Design Contest International Tour, the three—year exhibition initiated on August 8, 2005 has received a heated reponse by the global artists. The exhibition delivers important information about the Olympics, emphasizing that the Olympics are borderless and belong to all the cities and nations of the world. Among a total of 2,450 sculptures submitted from 82 countries, 386 were finally nominated and 290 excellent pieces were confirmed. The exhibition made a nation-wide circuit tour beginning June 23 this year from Beijing and its international leg kicked off in London, the United Kindom. Before Gisborne, it had travelled to Seoul, Los Angels and Rome. The international trip of the exhibition will also cover Wellington, Lausanne, Barcelonaand Sydney. The free exhibition will last for three weeks in Gisborne. (Gisborne, Sept. 11) – THE spirit of international unity overflowed in Gisborne on Sunday, as members the Beijing Olympic Organising Committee, the Governor General and other dignitaries joined Mayor Meng Foon in launching the Beijing International Landscape Sculpture Exhibition at the start of its Australasian tour. Despite rainy weather, members of the large Chinese delegation were all moved at being in the first city to see the light. In a day of celebration, they found they had much in common with the large contingent of tangata whenua who welcomed them. One guest said the Chinese felt empathy with Maori because both cultures were steeped in tradition. Chinese ambassador to New Zealand Yan Bo Zhao expressed the Chinese Government’s gratitude to Mayor Meng Foon and his councillors for allowing the exhibition to come here. It carried with it the Beijing Olympic theme of one world, one dream, on which to build the future of mankind. This community had now become part of this ideal. Because Gisborne was the first city in the world to see the sun rise, it would bring luck to the games. The exhibition was a special one because it symbolised the idea of peace and friendship around the world and its arrival here marked the 35th anniversary of the establishment of diplomatic relations between China and New Zealand. This relationship had now developed and matured into a fruitful one, including trade, economic co-operation and cultural exchange. The exhibition was also special because it combined sports with the arts and culture. Over the next three weeks, New Zealand would have the opportunity to see these outstanding examples of the beauty and art of sport. Gisborne was the only place in Australasia to host all 110 sculptures. The exhibition had already attracted millions of viewers in China and around the world. Its presence here was being conveyed by media to viewers around the world. Hopefully people in China would add Gisborne to their travel plans, he said. Beijing Olympic Organising committee secretary general Wen Zou said the Mayor had spoken to him about his love for his adopted country but it was not until driving from Auckland to Gisborne that he could understand this passion. The Olympic Committee had chosen 30 cities around the world in which to promote the Beijing Games, he said. There were four reasons why Gisborne was one of them. It was 35 years since the two countries started a diplomatic relationship. Gisborne was first to greet the sun. Gisborne was the home of many Maori people with whom the Chinese had a great empathy. Gisborne had a Mayor of Chinese descent. He and Australasian project manager Shien Joe acknowledged the Mayor’s passion had been a driving force in bringing the exhibition here. Mr Foon said the sculptures represented one world and one dream. This message conveyed how we each had a responsibility to respect, love and care for each other in all our achievements. The sculptures stood at the convergence of three rivers which flowed into the great Moananui a Kiwa which, in turn, flowed into all the other oceans of the world. Several speakers referred to the significance of New Zealand Prime Minister Helen Clark and Chinese President Hu Jintao meeting at Apec to discuss a free trade agreement. It was felt that this echoed the bonds being developed between China and this community. (Gisborne, Sept. 9) – For most Kiwis, Gisborne’s Beijing Olympic Sculpture exhibition, which opens today, is the closest they’ll get to the Games. New Zealand is the first southern hemisphere country to host the exhibition. The 110 moulded copper, bronze and stainless steel art works symbolising the age of the modern Olympics will be on display for three weeks in Gisborne before heading to Auckland on October 1 and Wellington from October 11-15. “New Zealand was one of the first countries in the world to develop a relationship with China 35 years ago,” said Beijing-based exhibition director and documentary maker Shien Joe, who began organising the New Zealand showing after meeting Gisborne mayor Meng Foon. Eight members of the Beijing Olympic committee and many local dignitaries were to attend a dawn powhiri today to open the free-to-public outdoor exhibition. Artists from 90 countries entered a total of 2433 sculptures into a competition offering no financial rewards, but prestige and international exposure. And while the works are insured for $100 million, in keeping with Olympic tradition the travelling art has no commercial value. Gisborne artist and curator Nick Tupara says the exhibition, which is the most extensive to tour Australasia, will inspire local artists. 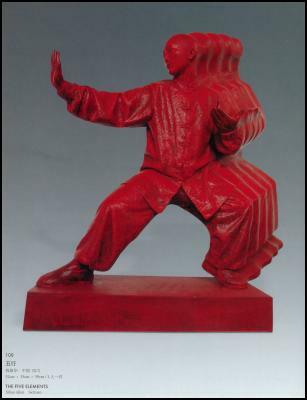 The display features summer and winter sports, and a strong representation of Asian artists give many sculptures facial expressions resembling the famous buried terracotta warriors. Foon hopes the Gisborne showing will attract national attention. “This is the closest we’ll get to the Olympics,” he said. The exhibition will be on display at Tiananmen Square during the Olympics, which open in August 2008. As the exhibition tours, viewers will be invited to submit a vote towards awarding 29 winning artists with medals. The spirit of the Olympic movement is being brought to life this weekend as the Beijing Olympic Sculpture Exhibition opens in Gisborne on Sunday. Hundreds of people are expected for the day’s events but millions more are likely to see and hear coverage over the next few weeks. Gisborne is the first city in the southern hemisphere, and one of only a dozen international cities, to host the exhibition. The Governor-General, Anand Satyanand, will attend the day’s events as will two China Embassy officials, eight members of the Beijing Olympic organising committee (BOCOG), two from New Zealand Olympic Committee, local Members of Parliament and other dignitaries. Prime Minister Helen Clark was unable to attend but has sent her greetings through a video message to be broadcast on the day. The dignitaries will be accompanied by a bevy of media including five China News representatives based in New Zealand who, in collaboration with South China TVS, will broadcast live from the events to more than eight million subscribers in the Guangdon province. The official Opening Ceremony begins at Whangara with a dawn event hosted by Ngati Konohi, followed by a powhiri at Te Poho o Rawiri Marae hosted by Ngati Oneone. The ribbon-cutting ceremony takes place at the site of the exhibition within the Rose Garden reserve next to the Taruheru River. Olympic fever is brewing in Gisborne with flags raised in the main street and outlying townships, fences up and paving in place to receive the 110 copper, bronze and stainless steel sculptures, representing the work of international artists and portraying aspects of the Olympic movement. The sculptures are being arranged in a koru design. New Zealand Olympic Committee Secretary General Barry Maister says the exhibition is about excellence, friendship and respect. “These are the values of the Olympic Movement and we are delighted New Zealanders can share in the Olympic spirit at this open-air exhibition. The exhibition is an important component of a series of cultural activities organised by the BOCOG ahead of Beijing 2008. The exhibition remains open until 28 September.